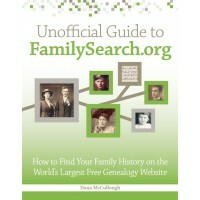 When I started researching my family history several years ago, I never imagined what I would find. In particular, I never imagined what I would learn about my own grandfather and his military service during World War II. My grandpa Harold Schmidt never talked about his war experiences, but his sister Elgene somehow managed to get him to write about it. In honor of Veterans Day, here is some of Harold’s World War II story, adapted from Harold’s written account of his experiences. Harold left life on the farm near Dubuque, Iowa, in April 1942 to begin his service in the Army. He spent much of the next year in training—first at a cavalry training center in Fort Riley, Kansas, and then at Fort Bliss, Texas. In late 1942, he was put in the light machine gun section and spent time in Louisiana for training. “I was paid $21 per month, less deductions of $11.60 on my first payday. I got a ‘big’ raise after basic training—$30 minus deductions,” Harold said. In early 1943, his section rode their horses 210 miles to Marfa, Texas, and spent two months patrolling the Mexican border along the Rio Grande. After that, he was sent to San Francisco where he and his unit rode on the USS George Washington for 30 days until they arrived in Australia—first in Brisbane and then Sydney, where his unit did amphibious training. “At the end of February 1944, we were alerted to go! We loaded on destroyers and headed for Los Negros, in the Admiralty Islands, for a beachhead landing on February 29, 1944, where I was in the first boat to hit shore,” he said. “There was a fierce battle the night of March 3—it was terrible!” he said. On October 20, 1944, Harold was in the fifth wave to hit shore in Leyte Island in the Philippines. In January 1945, he returned to Leyte, and later went on to Luzon on a mission to free 3,500 prisoners confined at St. Thomas in Manila. After 60 hours and 110 miles, they arrived in Manila on February 3. “It was a rough deal! We spent a month cleaning up in Manila, and several more months in the surrounding country,” he said. After that, Harold participated in more amphibious training, anticipating the landing in Japan. But then, the call came. “All men with 89 points and over could get off the boats and go home. Hooray, hooray!” he said. Two and a half weeks later his ride home came, and during the 30-day journey back to America Harold and his unit heard that Japan had surrendered. Newspaper articles printed during the war state that Harold was awarded a Purple Heart for wounds received in action in the Philippines. He also was awarded a Silver Star for “bravery, heroism, and gallantry in action” as part of the invasion of the Admiralty Islands on the island of Los Negros. Note: Thank you to Elgene for sharing family history information with me, including the story of my grandpa Harold’s World War II service. Hi Dana! My name is Madi. My mom is your cousin i am her daughter. I really enjoyed this story and am writing my own story/Journal out of it for school. I was wondering who his wife’s name was? Thanks so much. Looking forward to reading your new book. Hi Madi! Thanks for for commenting on my blog! I’m glad you enjoyed the post. Harold’s wife’s name was Helen. Helen’s last name before she got married was Heims. Also what is your email so i can email you my version of Great Grandpa Schmidt? Madi – I’ll send you an email with my email address in it. I’d love to read your version. Thanks!